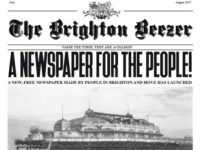 Sam Jermy, a former B2B editor, is conducting a research project on journalism business models in partnership with Press Gazette’s Duopoly Campaign. He details why now is the time for bold decisions rather than lamenting the industry’s situation, and asks for your opinion. 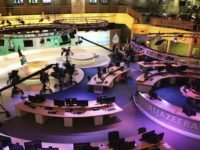 Financial viability in 21st Century journalism has been a problem long-time coming, but the discussion only seems to have recently come to the fore. Perhaps this is because many believed the problem would sort itself, there would be a natural realignment. But the only thing which has continued to happen is money being drained out of traditional press on a local and national level, and poured into the ever-deepening pockets of the tech giants, Facebook and Google. It is no surprise where the money is going when you consider around 85 per cent of the UK population saw a newspaper every day in the early 1950s, and now fast-forward to today where over half of the UK population uses Facebook each week. Indeed, TechCrunch reported the platform now has more than 2bn users worldwide. The clincher here though, is the fact Facebook uses original content from publishers as a vehicle to capture even more digital ad revenue on its site. Thanks to Mark Zuckerberg and the folks at Google, no other player is able to command a market share over 5 per cent. It’s understandable then, that many believe the two firms hamper news organisations ability to create financially sustainable journalism. Is there a way forward without new organisations being entirely dependent on a digital ad market they have nearly zero control over? One argument is that Facebook should massively increase (or rather, start) its philanthropic efforts towards journalism. In February, the New York Times published an opinion piece by Steven Waldman titled: “What Facebook Owes Journalism” and made the point that currently, funding from major tech firms is almost non-existent. The Tulsa Community Foundation donated more to investigative journalism than Facebook, Google, Apple and Verizon combined. A stark statistic considering those four companies posted a combined net income of $88 billion last year. News organisations simply do not have anywhere near that level of financial muscle. Another train of thought is that publishers should push back from creating a closer relationship with the likes of Facebook if terms of the deal aren’t benefiting them. Zuckerberg has only begun to soften his stance that his business is not a media company, and has no effect on journalism. I wonder, if more news organisations rowed back on their eagerness to be in cahoots with Facebook and introduced their own digital subscription service, what the end result would be? Some may say it is a bold move, but the alternative is to bow to the demands of external sources. Although you could say it is only circumstantial evidence at this point, the New York Times gained another 308,000 digital news subscriptions in the first quarter of 2017 alone- its single best quarter for subscriber growth in its history. Even the Guardian, still rueing past business model mistakes, has managed to stem the flow of cash haemorrhaging from publisher Guardian News and Media partly thanks to its membership scheme and asking for donations from readers at every turn. I speak to some reporters who don’t concern themselves with the nitty gritty of business models in journalism, because they see their job as primarily writing new stories for their readers. One even said they don’t care where the money comes from as long as they still get paid at the end of the month. But every journalist should care, because if the wider industry issue is not addressed those pay checks will dry up, and news companies could fold altogether. Have your say by completing this quick six-question survey on business models in journalism. All information collected is strictly confidential and anonymous. The data collected will be used to aid my thesis, and the findings will then be presented on Press Gazette in the Autumn. I’m delighted to read this. All success to putting out some GOOD news and turning from the nasties’ comments we are all beginning to hate. Congratulations.